Modified Item: No Bar Length: 10"
¤ ‹(•¿•)› ¤ EXCELLENT PRODUCT¤ ‹(•¿•)› ¤ FAST DELIVERY~THANK YOU~ (*_~)! Fast shipment, new item as described, very well packaged arrival! Thanks! Just used for first time this past weekend. Cut like a champ!!! Beats my gas saw all to heck. No more pulling and pulling to start, no fuel to mix or carry. Cut through 6" logs no problem. I will be adding a bigger amp hour battery to go with it. Highly recommend. Great little tool for trimming trees. 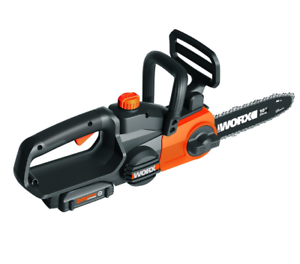 If you trim lots then buy the double capacity battery, they offer one twice the capacity as you get with the package.